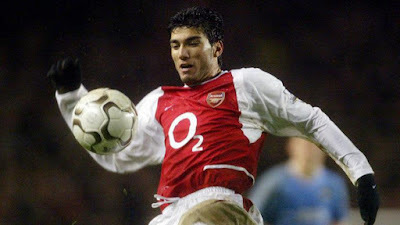 Jose Antonio Reyes who was once exceptional for Arsenal for a couple of seasons will now sign for the bottom side in China’s League one which is the second tier on the Chinese football pyramid. He will sign for Xinjiang Tianshan Leopard’s who are located in China’s Xinjiang region where the Chinese authorities accuse locals of being terrorists and the Chinese authorities have been accused of repression. The leopards have been useless this season, failing to win any of their 13 matches so far and only finding the back of the net four times. They’ll be hoping that Reyes will be able to offer them help in changing that sorry statistic. He once claimed to be home sick when he played for Arsenal, but he was a lot younger then which means it is unlikely that he will feel homesick again otherwise why would he bother agreeing to sign for the Chinese club. It’s an expensive gamble for Xinjiang, especially on a player who has failed to live up to his undoubted potential, but desperate clubs take desperate measures and Xinjiang right now are definitely a desperate club with a record of no wins from 13 games. If they don’t manage to get out of the relegation zone and drop to China’s third tier then it will be unlikely that Reyes would stay with them, because as I am aware Chinese teams in the third tier aren’t allowed to sign foreign players, which would mean if Reyes stayed and they did get relegated he wouldn’t be able to play in games. However we expect it is most likely that Reyes will just be there for a short spell, and be paid handsomely for it in the hope that he can help to stop the club from dropping out of league one.